Original dark chocolate was developed around 1900 B.C. as a beverage in what is now Central and South America. Being true to the roots of dark chocolate, Anods Cocoa is proud to present the gracefully sweet, dark couverture chocolates. Crafted with a perfectly balanced sweetness and the cocoa taste. Anods Cocoa is proud to present the perfect harmony between silky smooth cocoa and creamy milk. 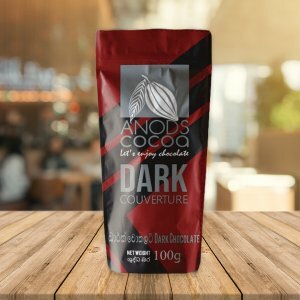 Crafted from the finest ingredients, Anods milk couverture brings out the best of both worlds. Go ahead treat yourself. You deserve it. Discover an exceptionally smooth and creamy white chocolate made from the finest ingredients. 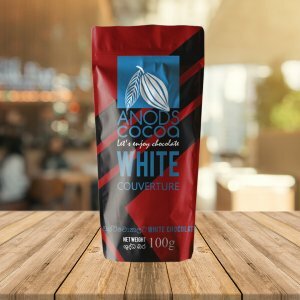 Anods white couverture brings out a rich creamy, milky note with a soft vanilla flavor. Perfect for all occasions. Escape to a chocolate bliss with a fine selection of chocolates made from the finest ingredients. From the feisty dark chocolate to creamy soft white chocolate, signature range is crafted to satisfy a variety of chocolate lovers.